The Undertaker and WWE have been in a fruitful relationship for decades, but that might be waning. He is doing much more public appearances now away from the company and one recent move on social media has a lot of people thinking. Dave Meltzer discussed The Undertaker on Wrestling Observer Radio. 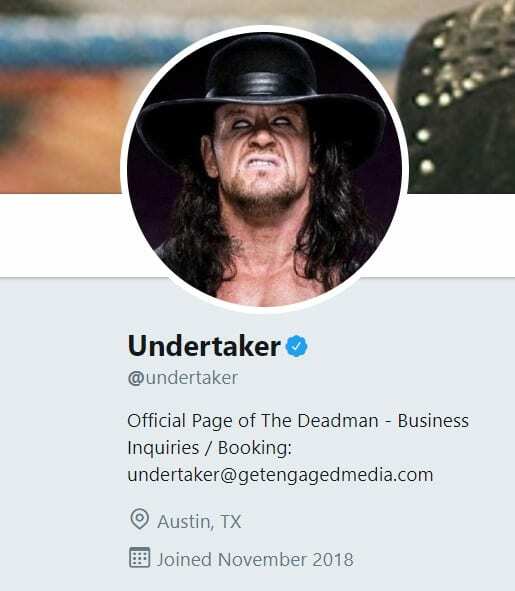 After removing references to WWE off his social media, The Dead Man then started promoting bookings for his own appearances. This is a very interesting move on The Undertaker’s part. His profile on Twitter and Instagram used to say “WWE Superstar,” but that is no longer the case. We will keep you updated on this story as more news breaks.